SOON TO BE AVAILABLE........ GUINIT SUN HELMETS! 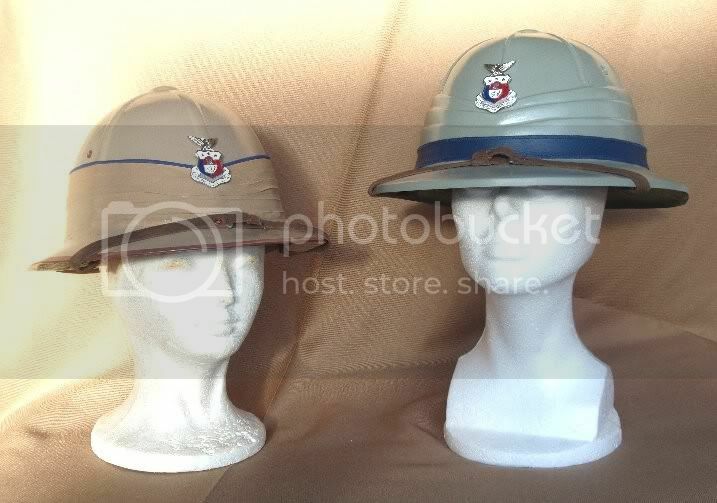 Yes...the famed coconut fiber military sun helmet worn by the Philippine Commonwealth Army as substitute for the campaign "montana peak" hat for drill and garrison duty is now back in fiberglass reproduction faithfully patterned from the original color and design with Army blue hat bands, and Philippine Commonwealth Army insignia (optional). 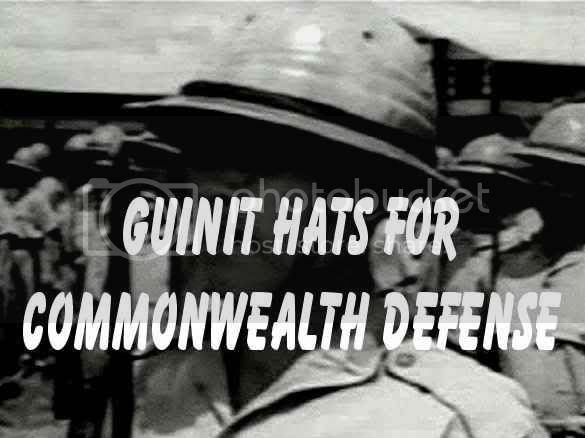 We have painstakingly researched every angle of the original guinit helmet and gone through various prototype stages to give you the best possible repro you'd be proud to wear on any reenactment or memorial day parade. Each helmet is manufactured under commonwealth government quality inspection and handled by expertly trained craftsmen with an eye for minute detail. Was that Philip? Are these made here? Who's house and man what a set up. What are the brown ones vers the blue ones. Hello Capt. Rudy. Yes that is Philip in the picture, he became a laborer under our "guest worker" program. 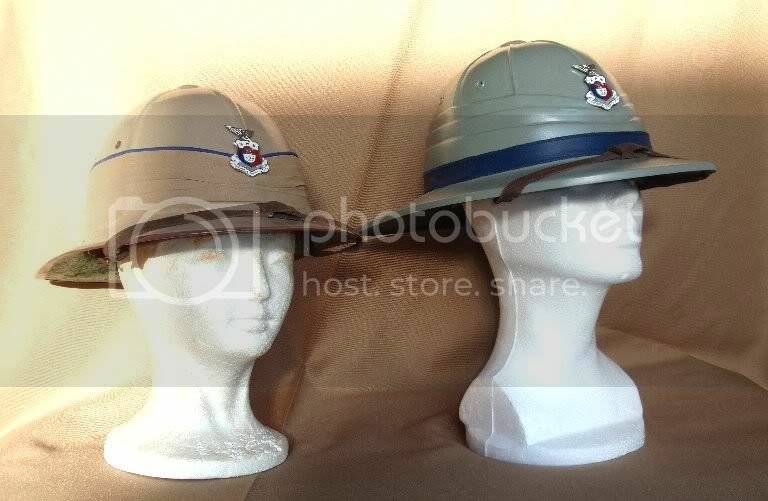 The "brown" helmet is for PA officers, Officer cadets (PMA) and college ROTC. The "blue" banded ones are for PA enlisted ranks. The featured workshop is a secret location, one among several scatttered in private backyards away from industrial centers to lessen the effects of single raid damage from Japanese bombers. Looks good! One for me too! 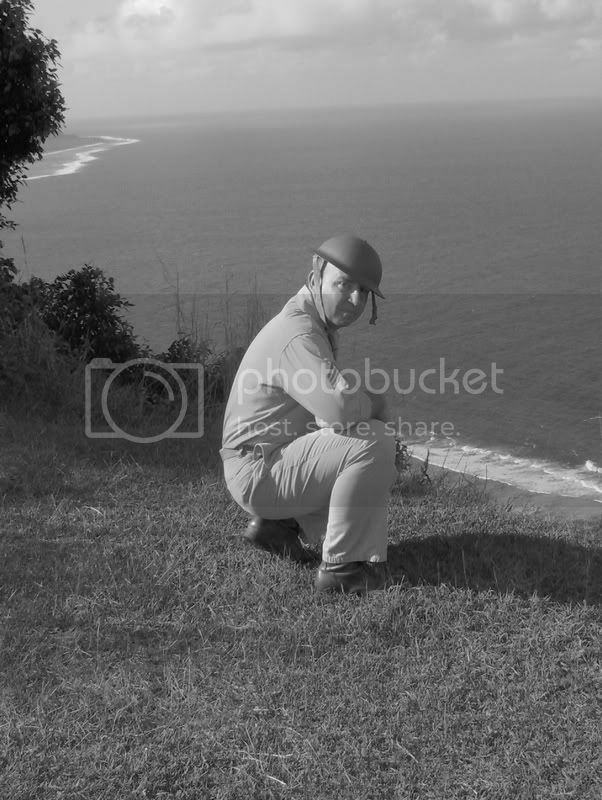 I'd like dibs on an enlisted guinit helmet. Ray do you take Paypal? Thanks. Yes Victor, I'll arrange it with Ted and post ordering plus S&H info ASAP. I will have to get one too. Heck, I know there was some "wheeling and dealing" between air corps types and the PI army! ;D I will get it for the display and say I got it while stationed at Del Carmen. GREAT WORK!! And it's not available anywhere else! Thanks for filling the void Ray. Mine is on its way, woohoo! Hi, I am new a member here. This forum helped me understand and appreciate what the Filipinos did during the war. I have been following all the thread here. I wan't to start making a PA and PS impression. I live at the Bay Area , CA . 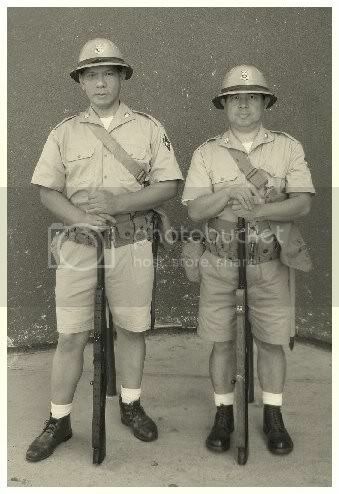 Can you please give me a list of the gears and uniforms that the PS and PA used? 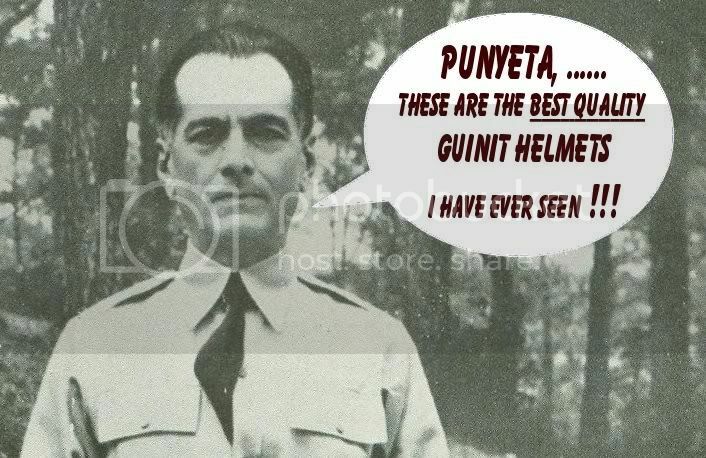 And also If I can put an order of the Guinit Sun Helmet with the Philippine Commonwealth Army insignia. I bought some stuff from Art Garcia before from this forum too. Please let me know do I need to talk to and how to send the payment. Thanks and Keep up the good work here. putting together the PS is the easiest since it is all US WWI issue. First Q what do you already have as starters? And what do you still need? EBAY is also a great place to get bargain gear to do a PS. Ammo belts, Haversacks, WWII canteen and cover, Leggings, suspenders and the Kelly steel helmet. below are links for info into what and were you can find them. 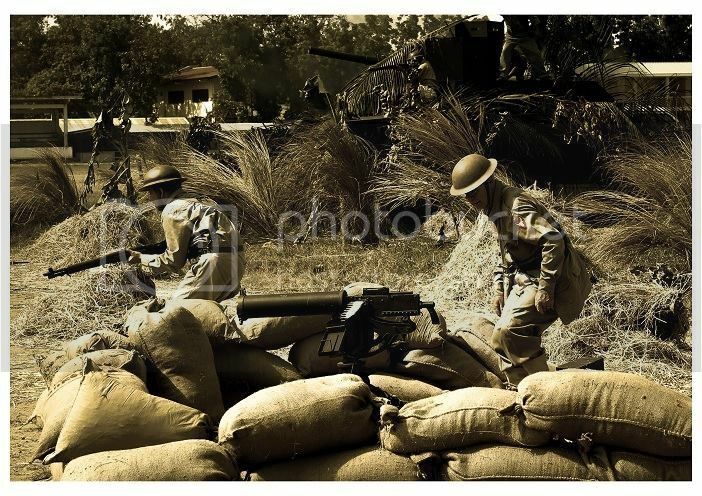 check out the whole WWII reenacting section as it has a lot of discussion info you will discover and learn on. As for PA the Gunit pith/ sun hat and a P-1917 rifle completes the set up. Also check with Ray as this is his area of impressions. I hope this helps. BTW there is a SF PS chapter if you wish to join them for your convience, let me know so I give you more info on them or you can join us too! We welcome more PS reenactor members we are the only PS chapter doing reenacting events. Am I heading to the right direction in doing a PS impression? all this info above and more detailed available courtesy of Victor's research, check them all out in link below with Victor's post. 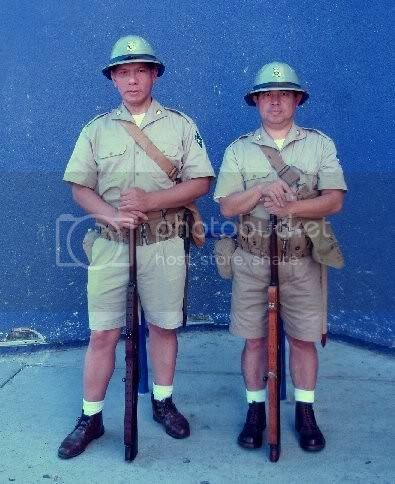 For infantry rifleman then you will need a rifle and ammo belt. the M1941 Field jacket ( TV show Combat fame) never reach nor issued the PS. I have a 14th Engineer Regiment DUI and Hat cord for the Campaign hat. Will that work for the impression? Yes you use the 14th Enginners with it's corresponding color hat cord. Your SF based so you can get a rifle there too. If you can afford it go infantry with the basic rifleman's weapon issued even for the engineers they were issued M1 Garands. Was your Grandfather in the PS or PA? If PS then you can inquire at the PSHS forum for some help. Ask your folks about your grandfather's military background, they should be able to tell more about his service in WWII.